For a while now, no one’s been able to agree on what an electric bicycle should look like. We’ve seen our share of iterations over the years — from the storage-centric to the style-minded. Each has had its own boons and limitations, and few have integrated into mainstream American commuting. 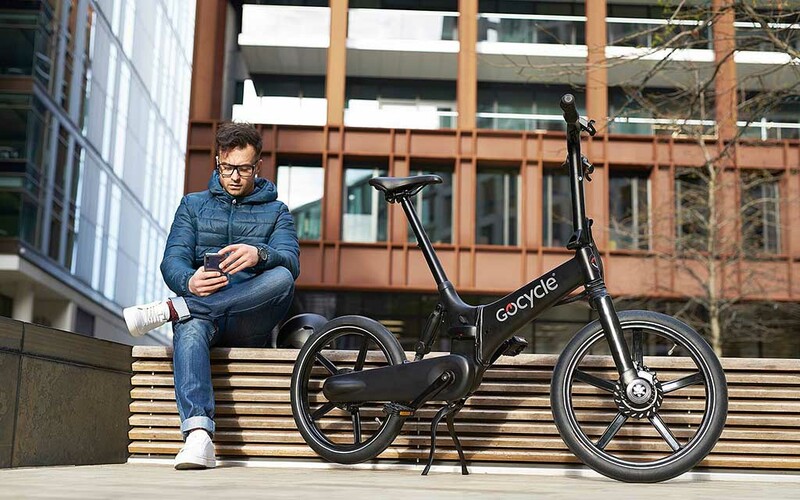 If any will set the gold standard, though, it just might be Gocycle’s GX, a featherlight, foldable e-bike designed by a McLaren Racing alum. The motor: It’s powerful and discrete. The lithium-ion battery is tucked within the chassis (from afar the GX sort of looks like a thinner version of a bike you’d rent for the day in a city) and allows for an above average 50 miles of range. The FOLDABILITY: It folds! Watch the video here on how to break it down. Wheel it into the elevator and keep it next to your desk at work, slot it easily in the entryway closet, etc. This is a gamechanger, especially in cities a bit behind on public biking storage. 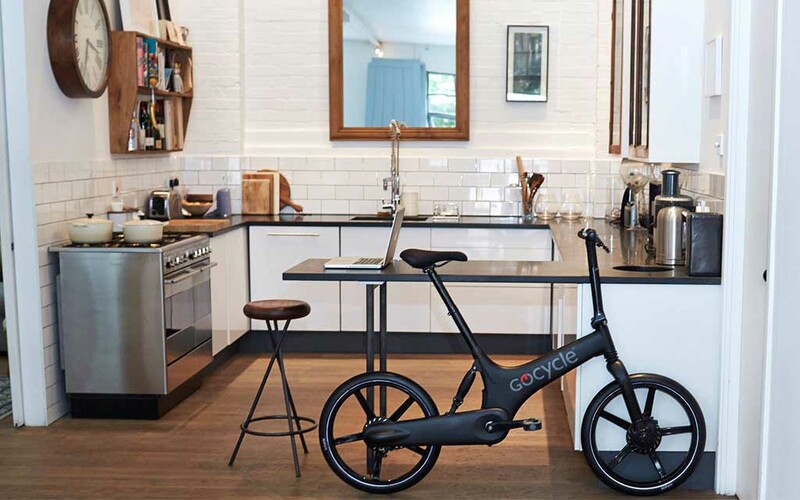 The design: Gocycle took pains to make sure their bike is more ergonomic than others on the market. Yes, that sounds buzzword-y, but it’s true. Many e-bike companies get a bit carried away and come up with elongated, inefficient designs that’d end up giving riders chronic back issues. 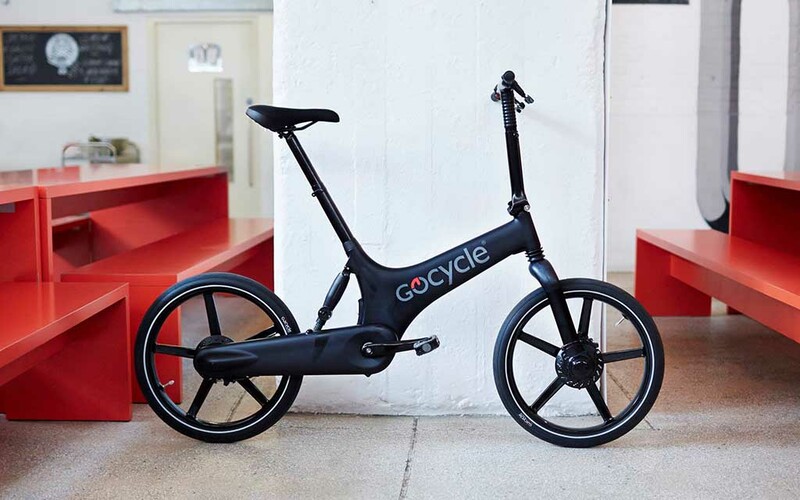 The Gocycle offers adjustable handlebars and seating, and a balanced center of gravity — the motor only powers the front wheel, while pedals power the back, which makes sure the transmission is never overworked. Unfortunately, all those pros leads to one glaring con. 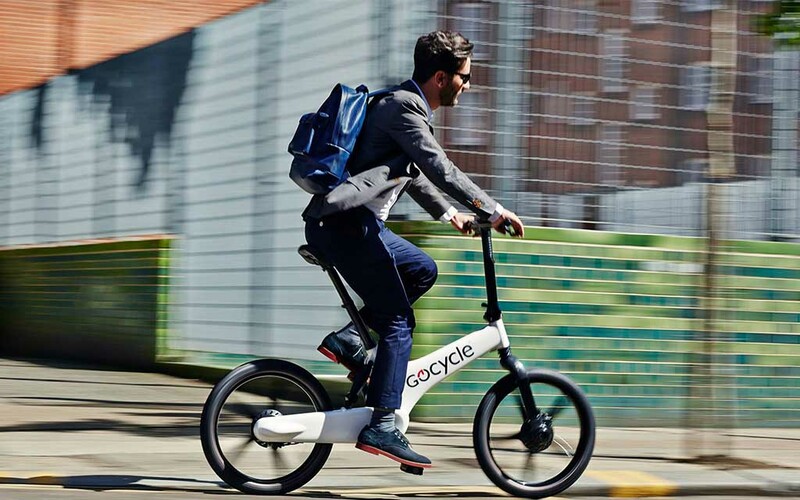 A Gocycle GX isn’t cheap, and will run you $3,300. If you’ve got the cash, though — and a strong disdain for either your local transit authority or Uber charges — could be worth it. For more information on ordering a GX of your own, head here.